Hosting a large party? 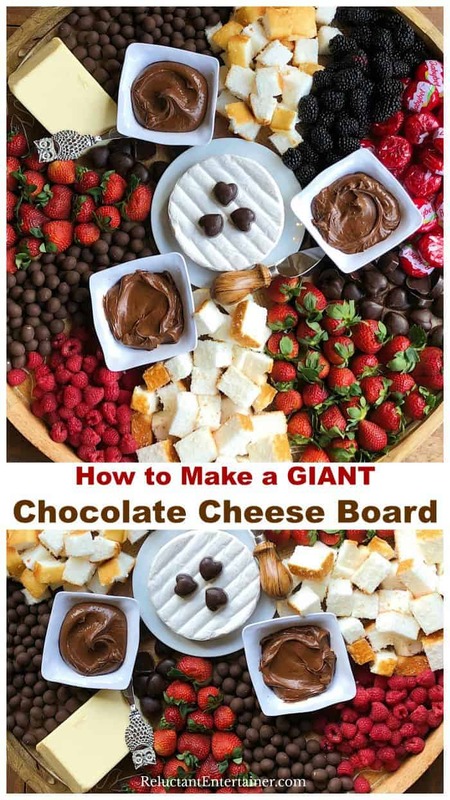 Here are the details How to Make a GIANT Chocolate Cheese Board, including a few hospitality tips. 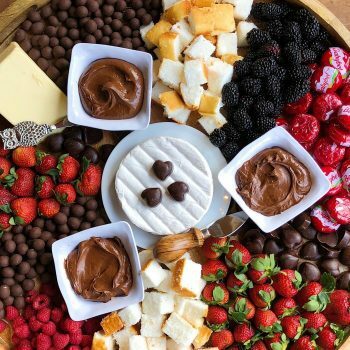 Use a good quality chocolate, cheeses, and fresh fruit to make the board, with a delicious hazlenut chocolate spread for dipping. Happy Valentine’s Day! Dark Chocolate with Sharp Cheddar or Brie cheese? OH. MY. GOODNESS. 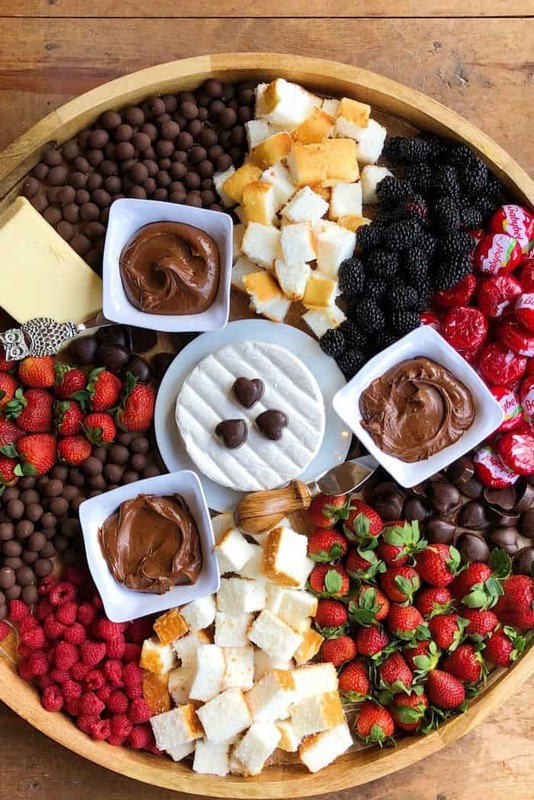 Today I’m sharing How to Make a GIANT Chocolate Cheese Board, just in time for Valentine’s Day! 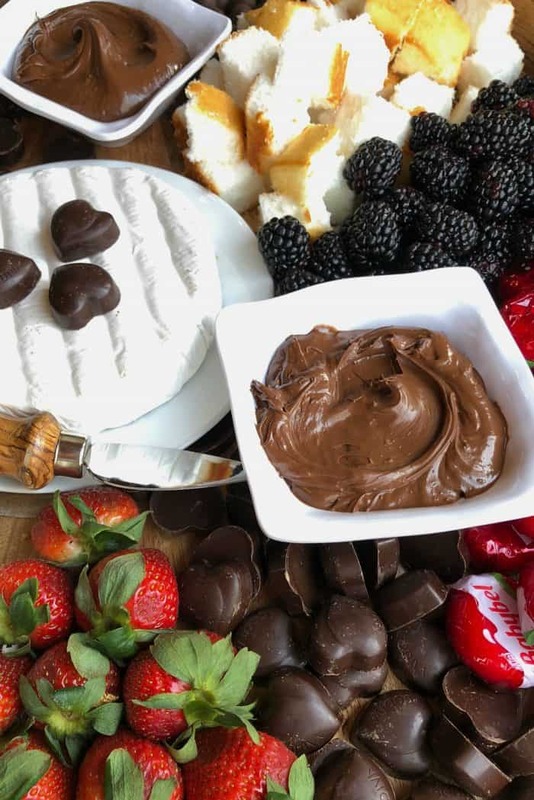 Speaking of cheese and chocolate, don’t you love pairing the right combinations together? It’s truly the ultimate way to end a meal, if you have good quality foods! Oh, and while I was making this and photographing it, these 2 were not invited in. Cheese boards are versatile, easy to put together, and great for company. 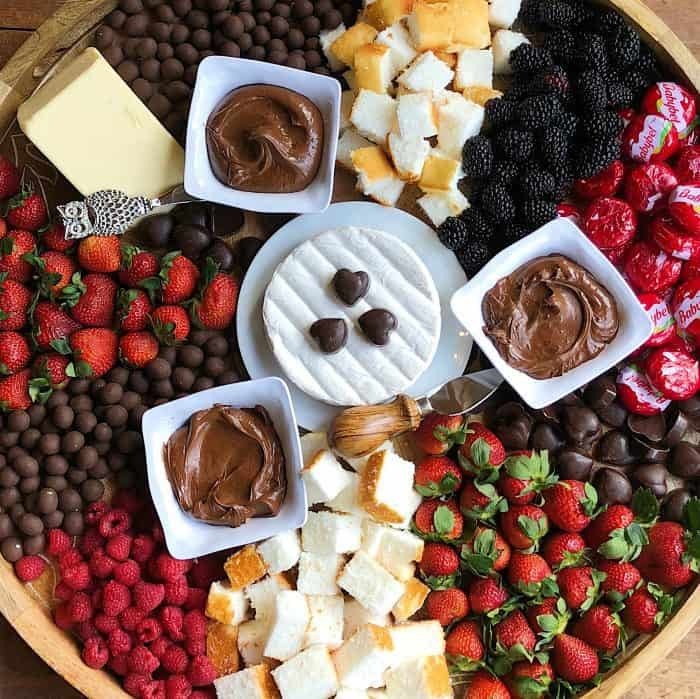 It can get quite spendy, so feel free to provide chocolate and fruit, and ask your guests to bring their favorite cheese! Or, the other way around. 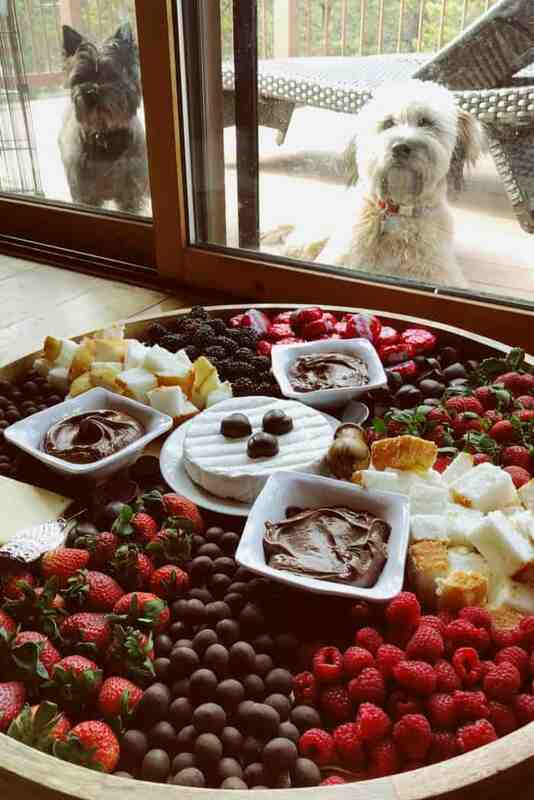 You provide the cheese and fruit, and let them bring the chocolate. Oh, and these 3 little bowls? 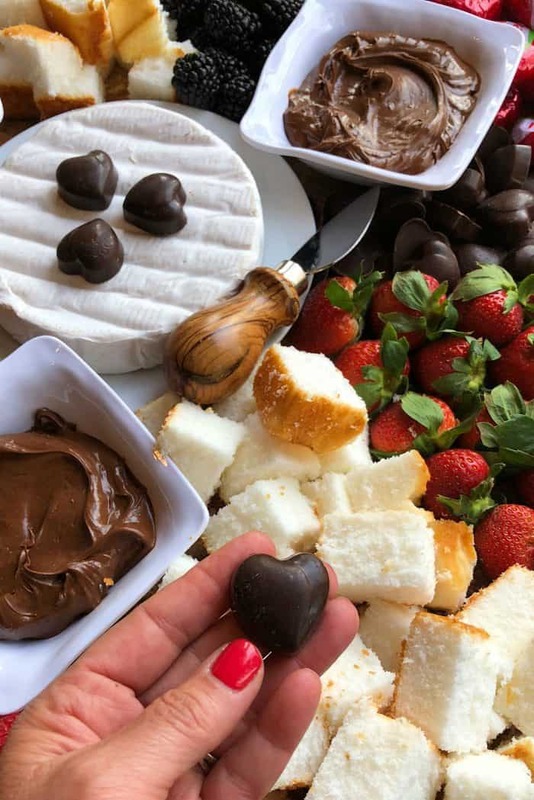 You can use a chocolate fondue, but I cheated and used Costco’s new Hazelnut Spread with Cocoa. Did you know they have their own now? Delicious, and less expensive than comparable products. 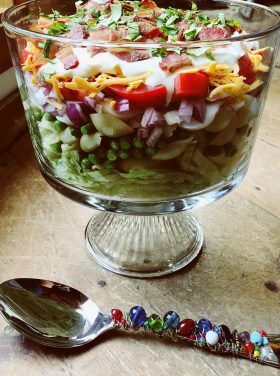 Since hosting a party is all about getting to know others better, why not serve something that will generate good conversation the minute your guests walk through the door? 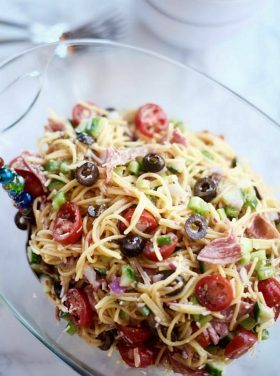 Who would guess that two wildly different tastes could come together to create such a fabulous flavor combination? 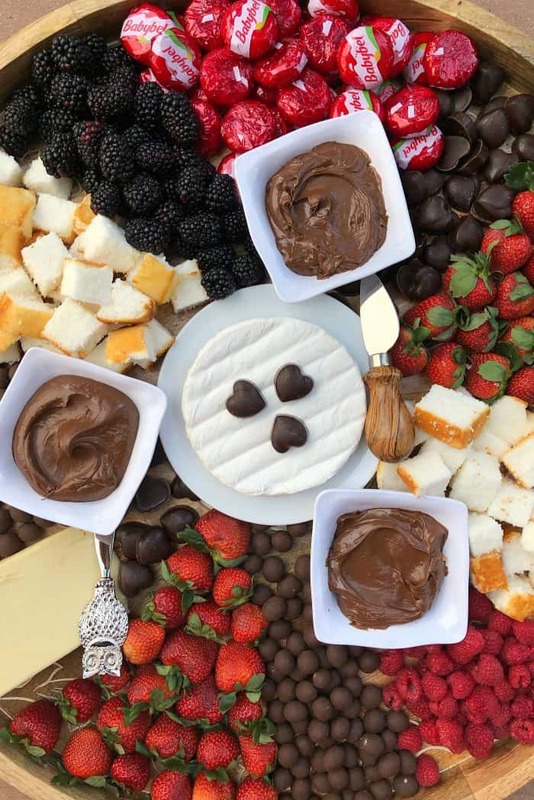 Chocolate and cheese are BIG winners! It’s okay to make this board ahead (believe me, this size of board takes time to assemble), and we all know that cheese tastes best at room temperature anyway! Pop this Baked Cherries Pecan Brie recipe in the oven the minute your guests walk through the door. 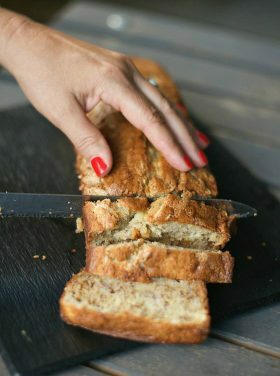 It only takes 10 minutes to bake, enough time to serve your guests their drinks! Place the brie back in the center of the board once cooked, and SERVE! Yes, brie is DELISH with angel food cake! Skip the crackers and bread and meats, and just make it simply sweet for Valentine’s Day! Oh, and the leftovers? People ask me all the time if can you freeze cheese? Especially if you have a lot of leftover cheese from a board this size. I say don’t freeze the cheese. Freezing cheese compromises the texture and will be super crumbly. Unless you’re grating it or using for a dish like enchiladas or mac and cheese, for gourmet purposes, never freeze cheese. Just eat it, until it’s gone. (We love cheese in our home so much, end of story). Enjoy Friends, and Happy Dipping! 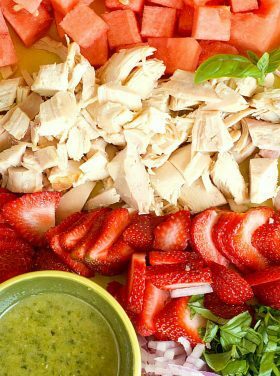 On a giant food-safe board (if not, lay down parchment paper), arrange the ingredients above. Place the hazlenut spread in 3 small bowls. 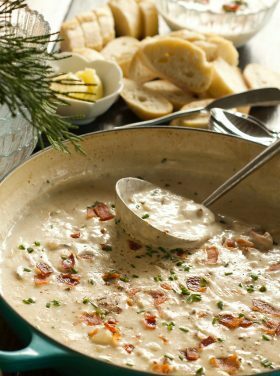 Bake the brie using your favorite recipe. This Baked Cherries Pecan Brie is fantastic! Place hot in the center of the board right before serving. 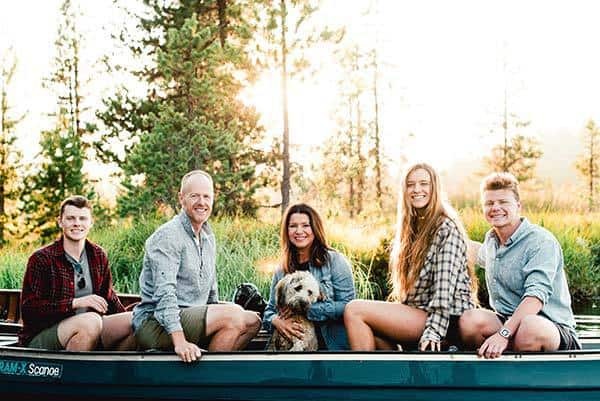 More charcuterie and cheese board recipes: Asian-Inspired Cheese Board [FoodieCrush], Olive, Meat, Cheese Board Recipe [RE], Almond Summer Berry Cheese Board [RE], How to Create an Epic Cheese Plate [Brown Eyed Baker], Tortellini Sausage Skewers [RE], and Kid Friendly Charcutier [Love From the Oven]. 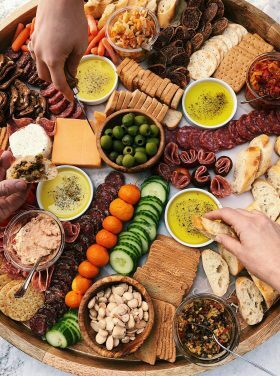 Appetizers Charcuterie/Cheese Board Conversation Desserts Entertaining Holiday Foods Holiday Parties Hospitality Parties Recipes Themed Parties Why Reluctant? 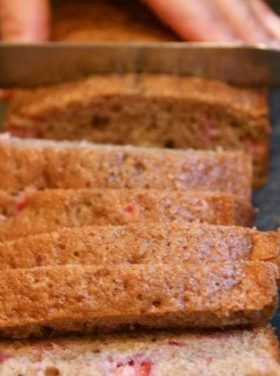 Raspberry Strawberry Bread: Give it Away as a Treat! What is the diameter of the tray you are using?